Where Do You Sit? Above The Line Or Below The Line? This post is about one of the most impactful behavioural models we’ve come across in the last 18 years. It’s called ‘above the line and below the line’ where the line represents choice. 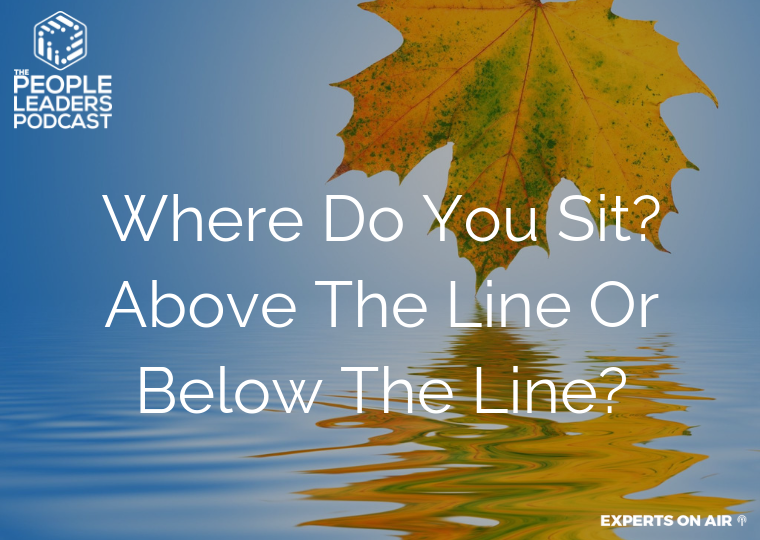 We can choose to operate either above the line or below it. We’ve been using the success wheel for many years, and every time we use it with a leadership client or team we get great feedback and they get great results. The beauty of this activity is that it’s ridiculously simple and yet super effective. Many of our coaching clients ask us for book recommendations, especially about leadership. The Four Agreements by Don Miguel Ruiz is probably the book that we recommend most often – and it’s one of our all-time favourites. It’s powerful, profound, and gives you a framework to operate at your best. You may remember from recent pods and posts that we went on holiday to Vanuatu to do some business planning. Since we were discussing people and leadership, we thought we’d chat with a very special someone we met while we were there – Chief Sam. The High Performing Team Assessment Tool (HPT) is one of our most downloaded resources. It’s so popular because it’s simple to use and benchmarks your team across eight critical areas, enabling you to easily measure improvements over time. We recently went on holiday with the extended family to Vanuatu and it was fascinating to observe how different we all were in our ways of being. For example, some of us were crazy organised with an agenda full of activities.